Inspired by the ‘information wheels’ of the 1950s, this is the ‘vintage’ of the apps of today. 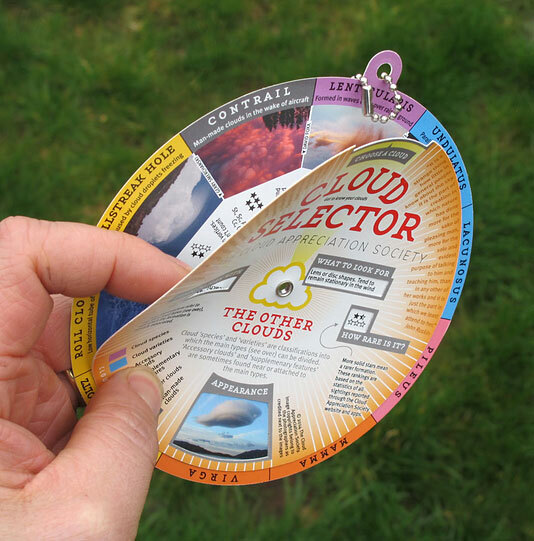 Rotate the disk on one or other side to find the photo that most resembles the cloud you are looking at. Relative information to the particular type of cloud appears in little windows: name, distinguishing features, typical altitude, likelihood of precipitation, as well as its rarity. 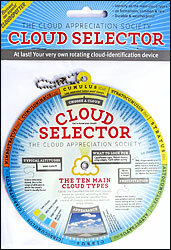 One side of the Cloud Selector shows the ten main cloud types, while the other shows more specific and unusual formations. 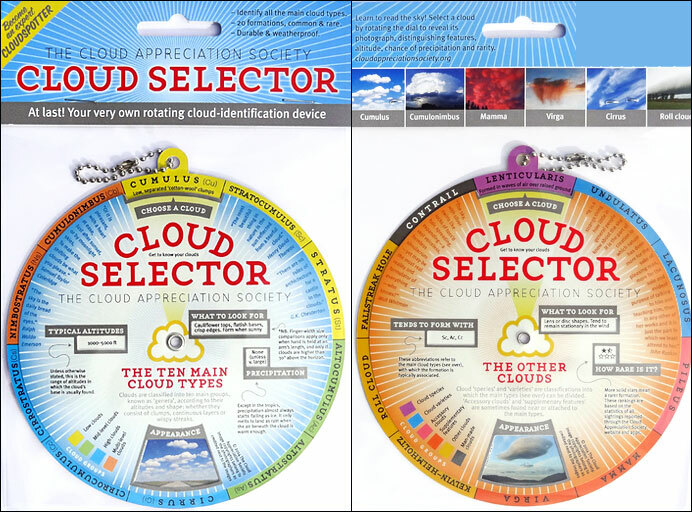 Cloud Appreciation Society has produced a cloud identification device meticulously designed and printed onto durable and weather-proof plastic. All the photographs were kindly contributed by Cloud Appreciation Society members from around the world. Famous quotations about the beauty of clouds and a nickel-plated chain finish the Cloud Selector and make it a unique and practical gift for experienced as well as beginners cloudspotters.